Gorgeous teeth are just one part of having a beautiful, confident smile. To get the most out of your cosmetic investment, Dr Meng Quah-Shepherd (Dentist) may want to consider addressing the tissues that “frame” your teeth as well—such as your lips, cheeks and eyes. Part of your cosmetic dental plan may need to include dermal fillers and cosmetic injectables that minimise fine lines and fill in creases of the skin, making it look smoother and more youthful around your smile. Who better to utilise cosmetic injectables than your own dentist? Dr Meng understands your oral and facial anatomy extremely well. Taking a holistic approach to your smile makeover means that she can predictably implement dermal fillers and anti-wrinkle products to help you achieve the look you’ve been hoping for. Depending on the type of cosmetic injectable and dermal filler being used, most of our patients see gradual improvement of their skin tone for the first several weeks after application. Results typically last for up to 3-6 months afterwards. Using these two different types of products at the same time can extend the effects even longer than if they were used independently. Are you considering facial cosmetics as part of your smile makeover plan? 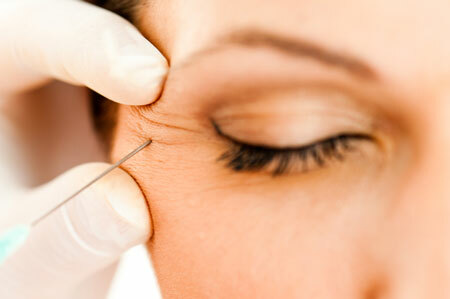 Talk to Dr Meng to learn more about the benefits of dermal fillers and anti-wrinkle injectables. Some of these products can even be used to minimise the effects of TMJ disorder. Contact us today to schedule a consultation!